Looking for Combination Starters? Get a quote fast. The fundamentals of combination starters. 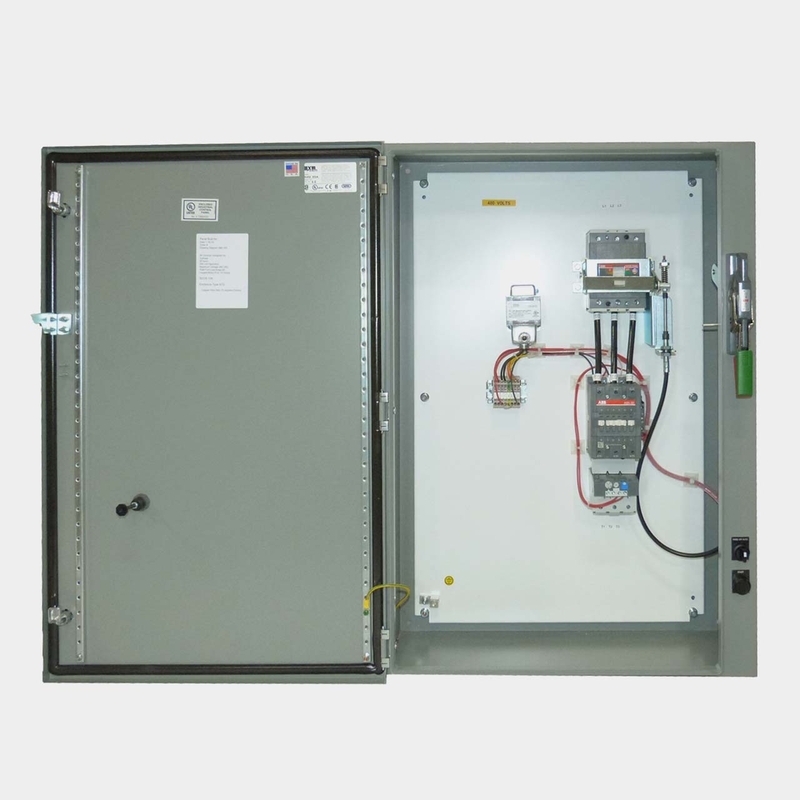 Simply put, a combination starter is a motor starter that has the three following elements contained in an enclosure or some kind of protective case: A motor disconnect, a motor controller, motor branch circuit protection, and motor overload protection. A non-combination starter on the other hand only has a control device and motor overload protection. Combination starters essentially provide you with that extra control, plus a built-in level of circuit protection that other magnetic starters don’t. Combination starters control motor loads across both small scale commercial applications like car washes, apartment buildings, and grocery stores, as well as large scale industrial applications like refineries, power plants, and mining. Do I need a combination starter? Combination starters are some of the most popular motor controllers, and can be used both indoors and outdoors. They are extremely versatile since they are also highly modifiable and come in a variety of configurations, combinations, and designs. Installing combination starters in your control panel can help reduce clutter by keeping the motor disconnects and controllers together with the overload and circuit protection devices. Using combination starters will not only simplify your control panel, but also increase your productivity by relying on fewer wiring connections. The combination starter you need, when you need it. Bay Power carries a wide variety of combination starters for to suit your exact specifications. Thanks to our vast inventory, we’re confident you’ll find exactly what you’re looking for, whether you’re looking for something heavy-duty, or you need something for a smaller scale project. Have any old or unused Combination Starters lying around? Don’t get rid of them just yet. While we stock a wide range of quality electrical products and solutions, both new and reconditioned, we also buy back your unwanted equipment. So, before deciding what to do with your old Combination Starters and components, have one of our expert technicians take a look to see if we can save a few parts, save the environment, and save you some cash. Great service shouldn’t end after the purchase. We pride ourselves on the relationships we build with our customer-first mentality and the quality of our Combination Starters and components. That’s why we offer a 1-year replacement warranty on all of our electrical products and solutions from the top manufacturers. Because when you buy with Bay Power, you buy with confidence. We are proud to stock a variety of competitively priced, new and reconditioned components from the leading manufacturers of Combination Starters. Thanks to our extensive inventory of Combination Starters and components, our resourceful and expertly trained staff will always be able to get the products that you need. Through our extensive network of suppliers, we are able to carry and acquire a huge variety of electrical products and solutions, so chances are if you need it, we can get it. Bay Power’s priority is providing you with reliable, high quality electrical hardware. That’s why our mission is to make sure our reconditioned electrical products and solutions function as perfectly as the day they were built. Because while the quality is high, the cost of Combination Starters shouldn’t be. Our selection of new surplus Combination Starters may not arrive brand new in a box, but they function just as well, and have never had electricity run through them. All of the quality, none of the packaging, always with our 1-year replacement warranty.